I’d like to start this review by crediting Cineworld for trying to resolve the age-old subbing vs. dubbing debate once and for all by attempting to screen a Japanese film using neither. This puts me in the position of reviewing a movie without understanding what was going on, a position to which I happen to be well accustomed. 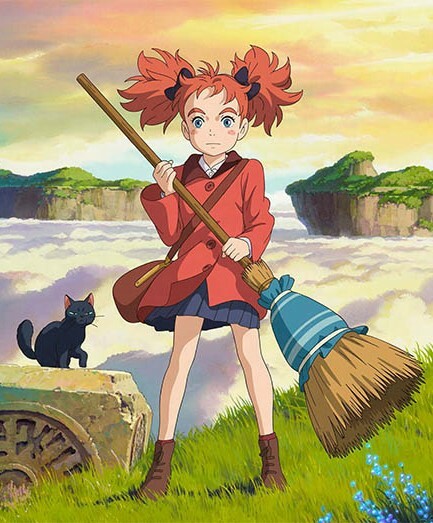 Mary and the Witch’s Flower is the first feature from Ghibli spin-off Studio Ponoc, based on The Little Broomstick by Mary Stewart. It follows a red-haired girl (Blade of the Immortal‘s Hana Sugisaki) who discovers a magic flower, an enchanted broomstick and a pair of grumpy cats. Before you can say “anime Harry Potter” she’s whisked away on the broomstick to a school for witches hidden in the clouds. That the film remains spellbinding even when one can’t follow the dialogue is testament to the animation wizardry, and also to Studio Ghibli’s incredible influence – not only as a powerhouse for nurturing and inspiring such great talent, but for raising the bar for the industry in general. Watching the studio’s former creatives continue to work their magic reminds us that Ghibli will be with them forever, as it will all of us. Mostly because Hayao Miyazaki keeps coming out of retirement. Combining classical fantasy with mad modern surrealism and updated gender politics, every frame is filled with the kind of funny creatures, eye-catching inventions and glowing visuals that will please both adults and children. 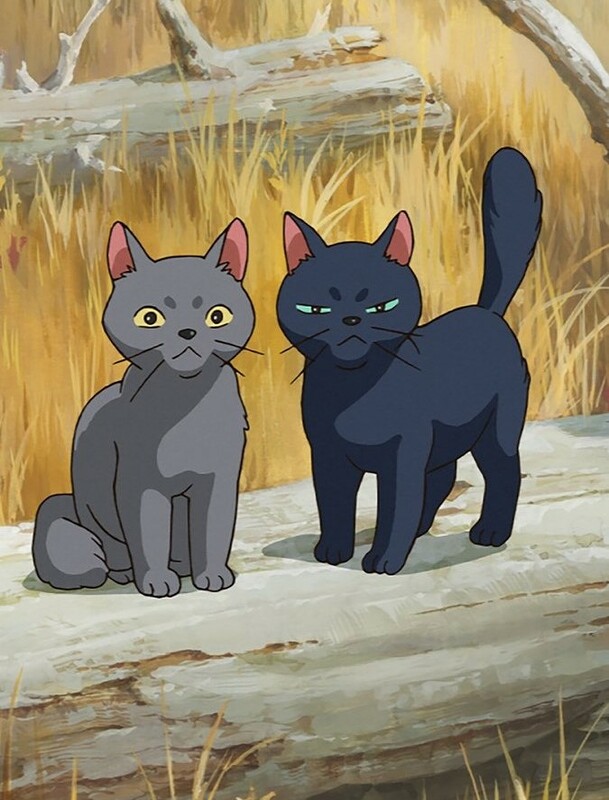 The focus on female characters, themes of flight and nature, and European reference points are ripped straight from the Ghibli playbook, with director Hiromasa Yonebayashi travelling to England to see the countryside that would provide the backdrop for the rural parts of the movie. The result is a picture that transcends cultural or language barriers, whose moral is that you don’t need magic to be strong – but in the case of Mary and the Witch’s Flower, it clearly helps. Not since Rocky have I had such a good time watching a film without understanding any of the dialogue.